ALPHONSE ISLAND, Seychelles (AP) — A British-led marine scientific mission off the Seychelles succeeded on Thursday in retrieving a key underwater drone from the sea bed, where it had fallen after its cable was cut two days ago. The camera-carrying drone is a vital piece of equipment for the Nekton Mission scientists as they explore the Indian Ocean depths. Two recovery attempts on Wednesday failed. 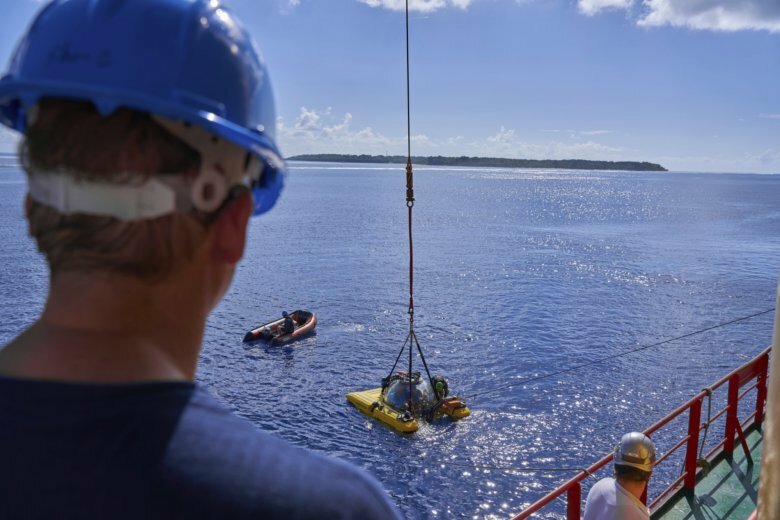 The loss of the Remotely Operated Vehicle, capable of reaching a depth of 500 meters (1,640 feet), had caused scientific data collection to stop while efforts focused on its retrieval. The mission is on an unprecedented exploration of the Indian Ocean to document changes taking place beneath the waves that could affect billions of people in the surrounding region over the coming decades. Mission director Oliver Steeds was relieved that the mission could now continue after the retrieval efforts had battled strong currents. The mission has faced a number of mishaps: Bad weather forced a change of course. Fierce underwater currents have buffeted the submersibles, aborting dives. The scientists on board the Ocean Zephyr now hope their luck has changed and that their mission to document the world’s least-explored ocean can kick into high gear. In a message to the mission on Thursday, the United Nations special envoy for the ocean, Peter Thomson, noted the “seminal importance” of such work. The Associated Press is the only news agency working with British scientists from the Nekton research team on its deep-sea mission. AP video coverage will include the search for submerged mountain ranges and previously undiscovered marine life, a behind-the-scenes look at life on board and aerial footage.